Karate school to send athlete to Pan American Games in August for third year in a row. 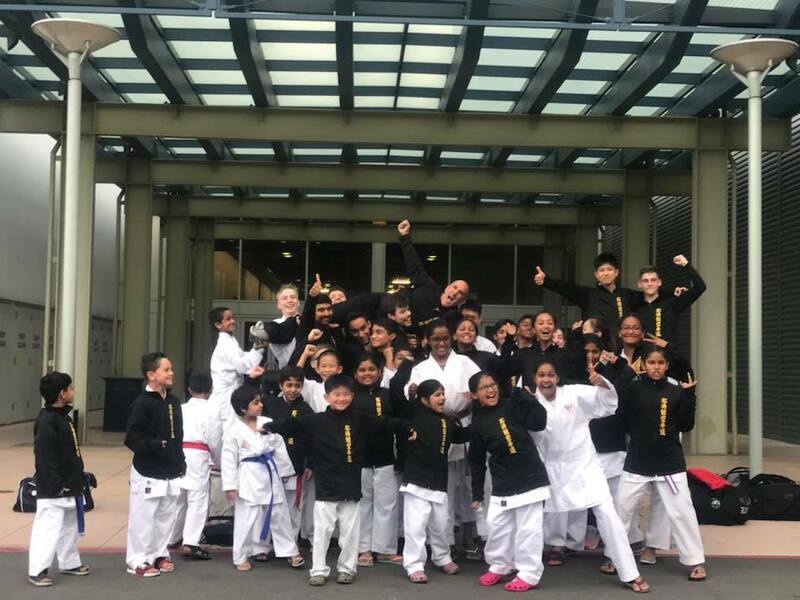 July 25, 2018, Westborough, MA – The Massdojo Karate School of Westborough, Mass., sent its national team of nearly 40 athletes to Reno, Nev., earlier this month to compete in the USA National Karate Championships & U.S. Team Trials. They returned with 95 medals and the honor of sending one of its top athletes, Arun Loganathan of Shrewsbury, Mass., to Rio de Janeiro, Brazil, in August to compete in the Junior Pan American Games as a member of the USA Junior National Team. Arun earned the spot by winning both his qualifying matches in Reno. Arun is only the third Massdojo athlete to attend the Pan American Games, following Victoria Princi who earned a gold medal at the 2017 games in Buenos Aires, Argentina. Miki Azuma of Grafton and Matt Anderson of Shrewsbury earned alternate slots on the 2018 junior team by finishing in third place. Massdojo’s 95 medals in the Reno competition exceeds the previous highest total by over 40 medals; the school’s team earned 54 medals in the 2016 competition. The 2018 medal breakdown was 28 gold, 30 silver and 39 bronze. Each athlete can compete in up to five divisions and may have to win five or six rounds to secure a medal. The Massdojo team excels in kumite (sparring), with 17 of its 39 athletes successfully medaling in that event in Reno. Additionally, 30 out of 37 eligible Massdojo athletes successfully medaled in Team Kumite, which is a three-on-three competition. Massdojo offers karate classes out of Westborough and Westford’s One Stop Fun.The school is a nationally recognized leader in karate, and all its national coaches are licensed and overseen by the U.S. Olympic Committee. For more information, see www.massdojo.com.